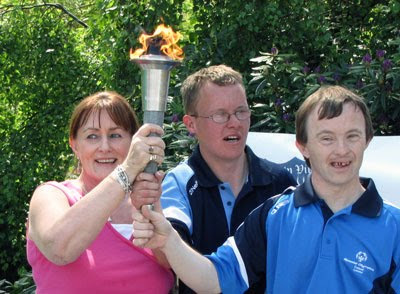 Congratulations to Paul Kenny, an Olympic athlete, who was the torch-bearer as the Olympic flame was brought to Ballyraine. The sun beat down on what was a beautiful day for the celebratory ceremony. More photos to follow shortly.